Newly developed F2.8 LEICA DICOMAR 4K lens. FHD: 28mm - 365.3 mm(35 mm film equivalent). Beautiful Bokeh effects from a 4/3-type, large-format sensor. 12 stops of imager latitude faithfully recorded by new V-Log L gamma curve. Variable Frame Rate with a maximum of 120 fps (in FHD resolution). 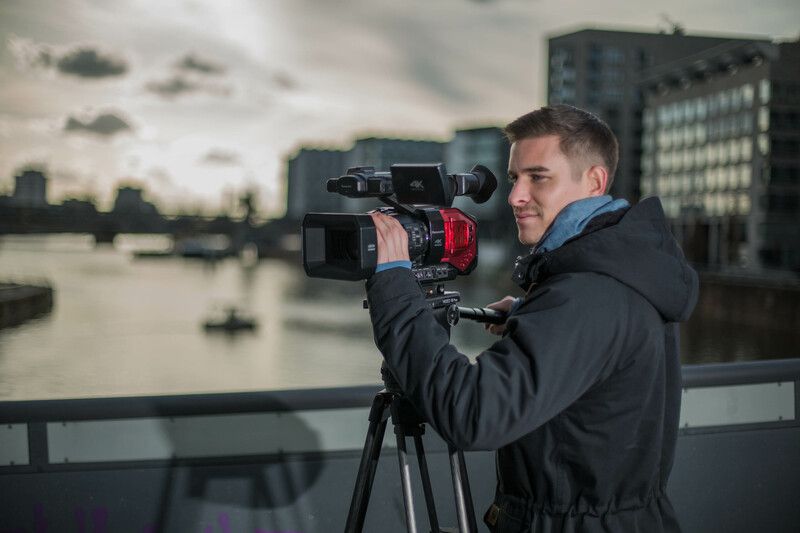 Interested in using Atomos with the DVX200? You can find a set-up-guide here. 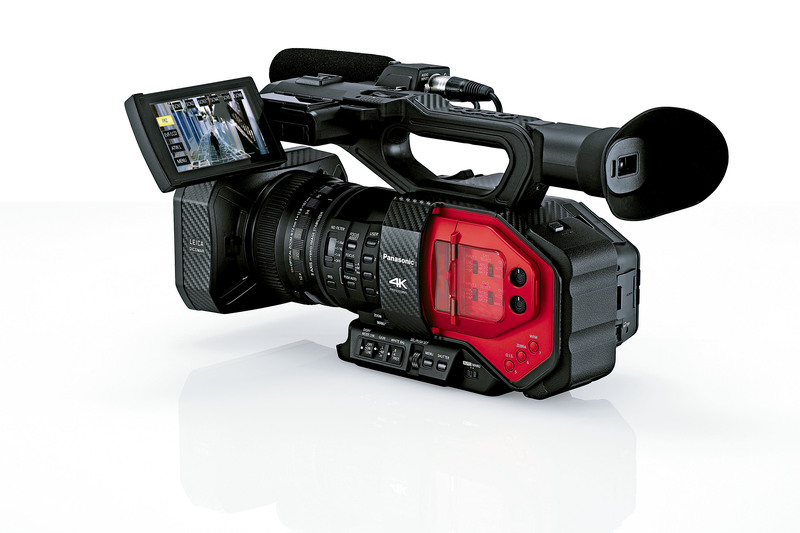 This product has been carefully created to follow in the footsteps of its breakthrough predecessor, the AG-DVX100. 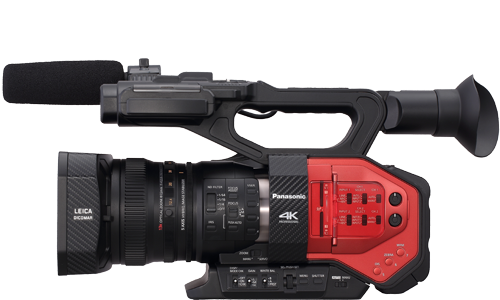 This innovation in 4K camera technology boasts itself as the world's first*2 4/3-type large format, 4K/60p*3 camcorder to feature an integrated zoom lens. This sophisticated cinematography camcorder has been thoughtfully designed by us to flourish in a broadcast environment. 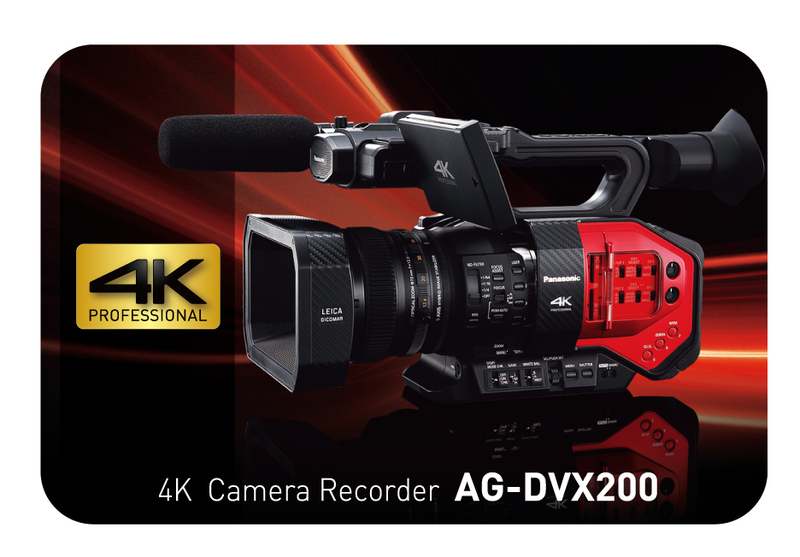 The AG-DVX200 4K camcorder is an essential camcorder for any professional broadcast applications. 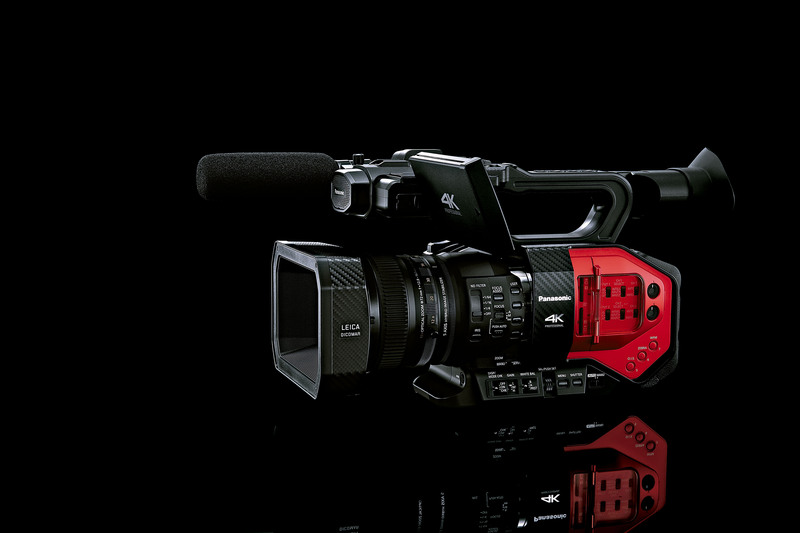 This 4K camcorder features an impressive LEICA DICOMAR 4K 13x zoom lens combined with an advanced large format 4K imager and the blending of aesthetics like shallow focus, attractive Bokeh, and an amazing 12 stop dynamic range made possible by the VariCam style V-Log L processing. 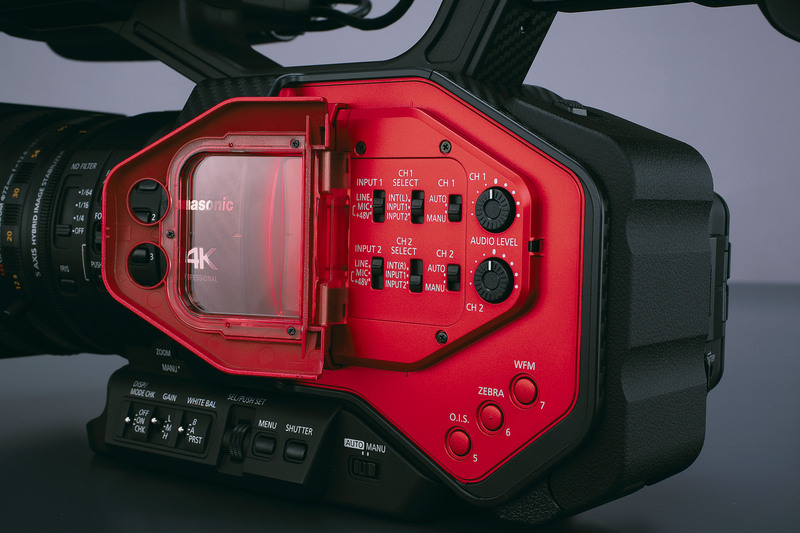 With a newly designed lens-integrated body, this product provides excellent mobility; and extra flexibility is supported by the compartment with hatch-type cover which protects the battery and terminals from dust and impacts. 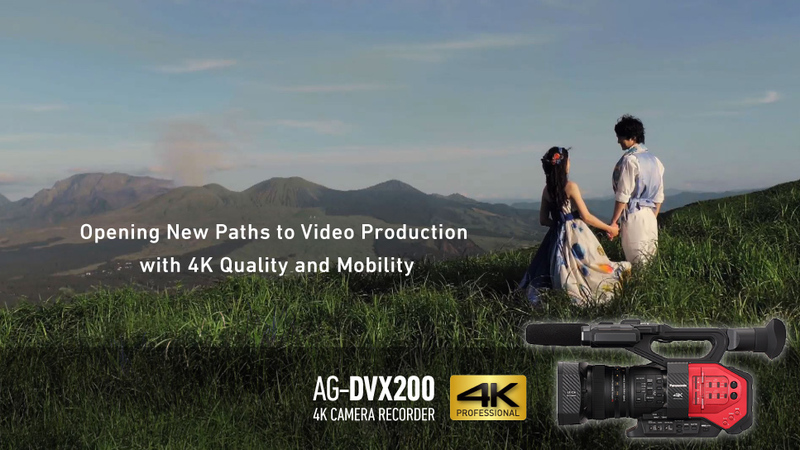 The AG-DVX200 is also compatible with the AG ROP (Remote Operation Panel) app, which allows remote control of the 4K camera recorder from an iPad. The app is now available to download from the Apple app store. 5 axis Hybrid Image Stabilizer. Intelligent Auto Focus, Custom Auto Focus. Variety of Manual Focus Assist function. 4.3 type touch screen type LCD (Approx. 2.76 Mil dots). 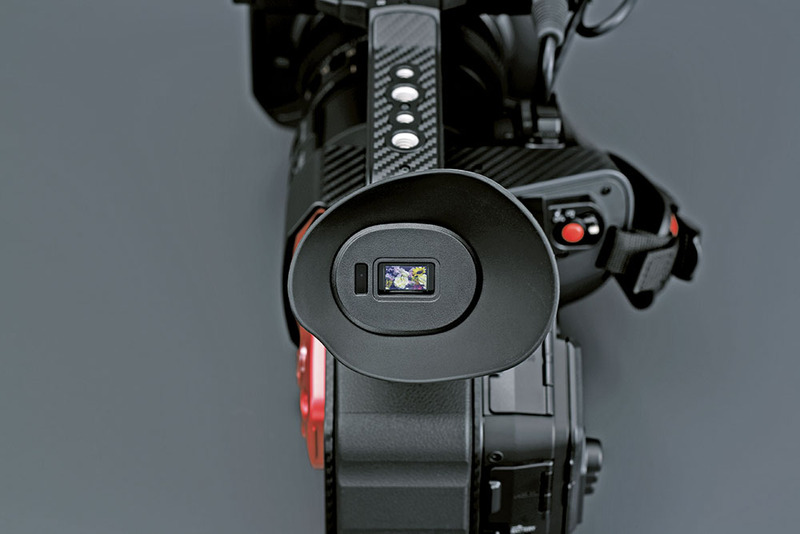 0.39 type high quality OLED viewfinder (Approx. 1.77 Mil dots). 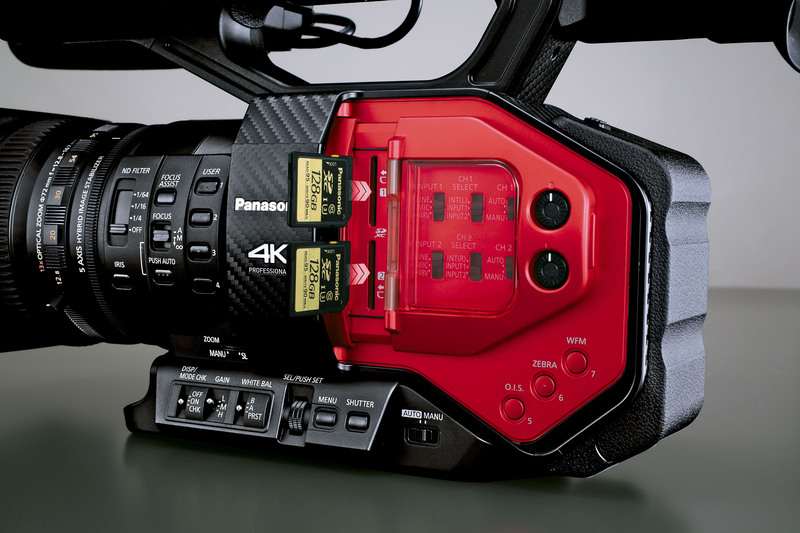 Battery cover for great handheld shooting experience. 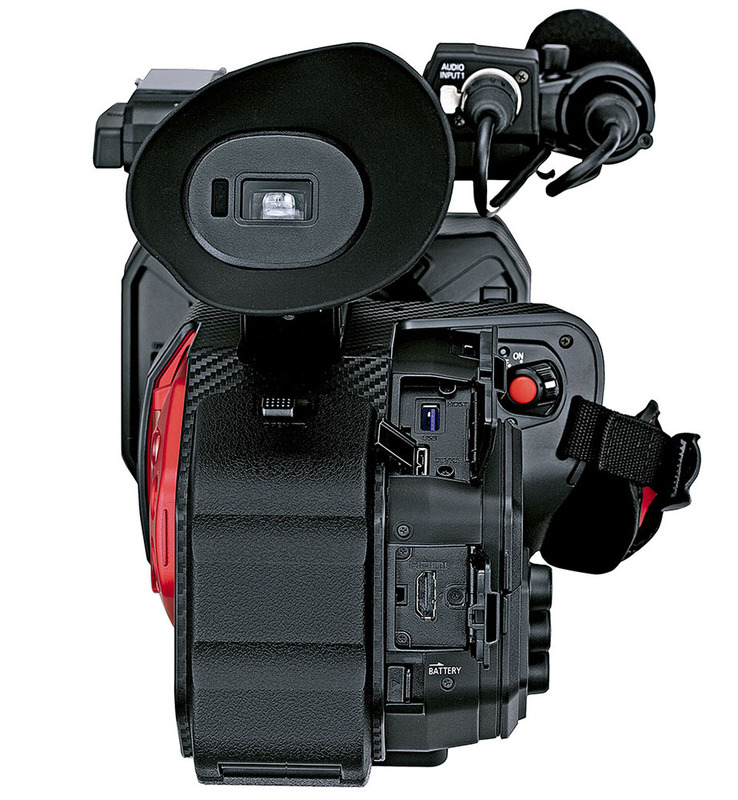 Simultaneous, backup, relay or dual codec recording function using two card slots. The microphone shown in the pictures is an option. 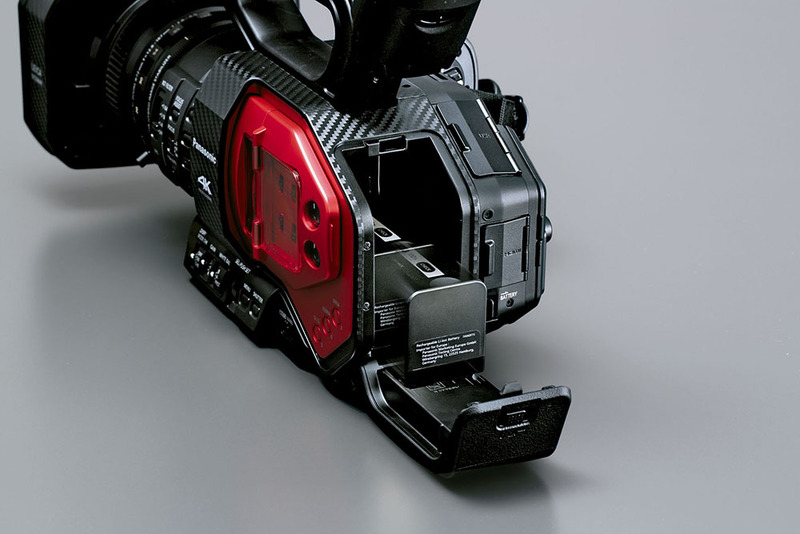 *1: IR illuminator is required separately. 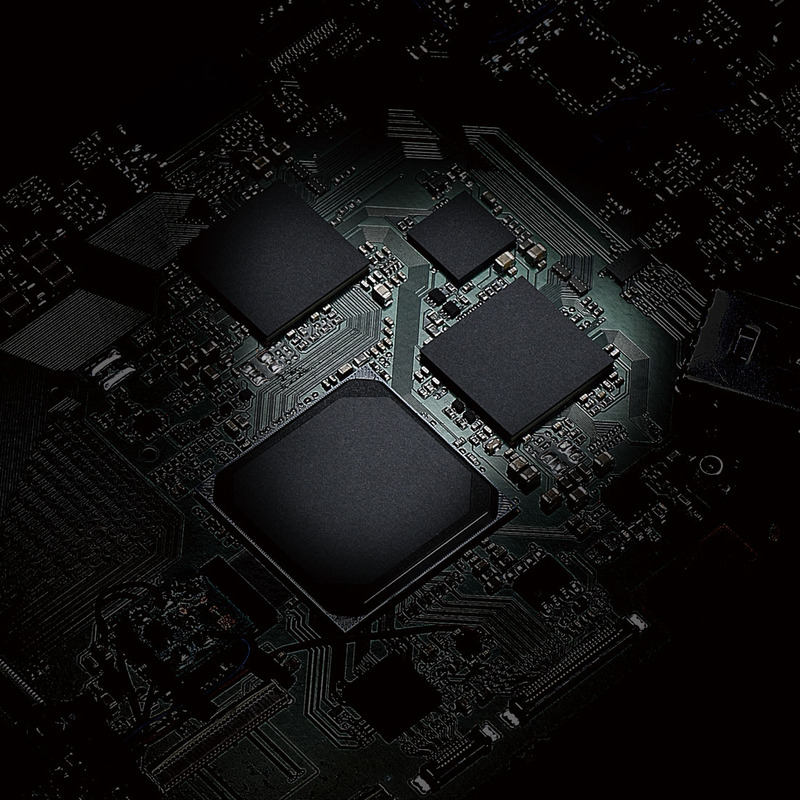 *3: When 60p, resolution is UHD(3840 x 2160). *4: Installation of a Wireless Module (AJ-WM30 (sold separately) or ASUS USB-N53 (Ver.A1) (sold separately) is required. With iPad, iOS7.1, iOS8.1, iOS9 are supported. Preview is possible with sub-recording (8Mbps) of dual codec recording is supported. 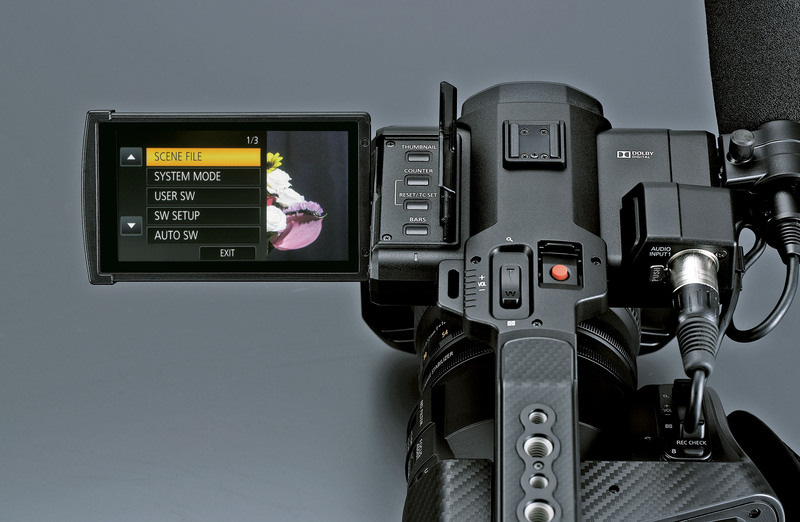 The firmware in the camera recorder may need to be updated. 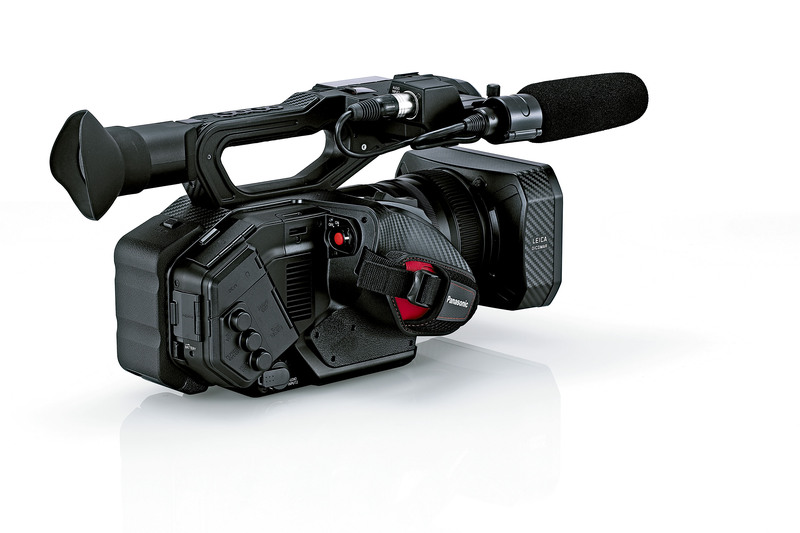 *5: Recording format is 4K(MP4/MOV), FHD(AVCHD/MP4/MOV), SD(AVCHD). *6: Use SDXC/SDHC Memory Card compatible with UHS Speed Class 3 (U3) when using high bitrate video recording mode of 100 Mbps or greater. The use of DCF Technologies is under license from Multi-Format, Inc.
A versatile wireless system for P2 camcorders that simplifies the process of utilizing user-selected metadata. When [SYSTEM MODE] = 59.94 Hz • 60i/60p mode: 1/60 sec., 1/100 sec., 1/120 sec., 1/180 sec., 1/250 sec., 1/350 sec., 1/500 sec., 1/750 sec., 1/1000 sec., 1/1500 sec.,1/2000 sec.,1/3000 sec., 1/4000 sec.,1/8000 sec. • 30p mode: 1/30 sec.,1/50 sec.,1/60 sec., 1/100 sec., 1/120 sec., 1/180 sec., 1/250 sec., 1/350 sec., 1/500 sec., 1/750 sec., 1/1000 sec., 1/1500 sec., 1/2000 sec., 1/3000 sec.,1/4000 sec., 1/8000 sec. • 24p mode: 1/24 sec., 1/48 sec., 1/50 sec., 1/60 sec., 1/100 sec., 1/120 sec., 1/180 sec., 1/250 sec., 1/350 sec., 1/500 sec., 1/750 sec., 1/1000 sec., 1/1500 sec., 1/2000 sec., 1/3000 sec., 1/4000 sec., 1/8000 sec. When [SYSTEM MODE] = 50.00 Hz • 50i/50p mode: 1/50 sec., 1/60 sec., 1/100 sec., 1/125 sec., 1/180 sec., 1/250 sec., 1/350 sec., 1/500 sec., 1/750 sec., 1/1000 sec., 1/1500 sec., 1/2000 sec., 1/3000 sec., 1/4000 sec., 1/8000 sec. • 25p mode: 1/25 sec., 1/50 sec., 1/60 sec., 1/100 sec., 1/125 sec., 1/180 sec., 1/250 sec., 1/350 sec., 1/500 sec., 1/750 sec., 1/1000 sec., 1/1500 sec., 1/2000 sec., 1/3000 sec., 1/4000 sec., 1/8000 sec. When [SYSTEM MODE] = 59.94 Hz • 60i/60p mode: 1/2 sec., 1/4 sec., 1/8 sec., 1/15 sec., 1/30 sec. • 30p mode: 1/2 sec., 1/4 sec., 1/8 sec., 1/15 sec. • 24p mode: 1/2 sec., 1/3 sec., 1/6 sec., 1/12 sec. 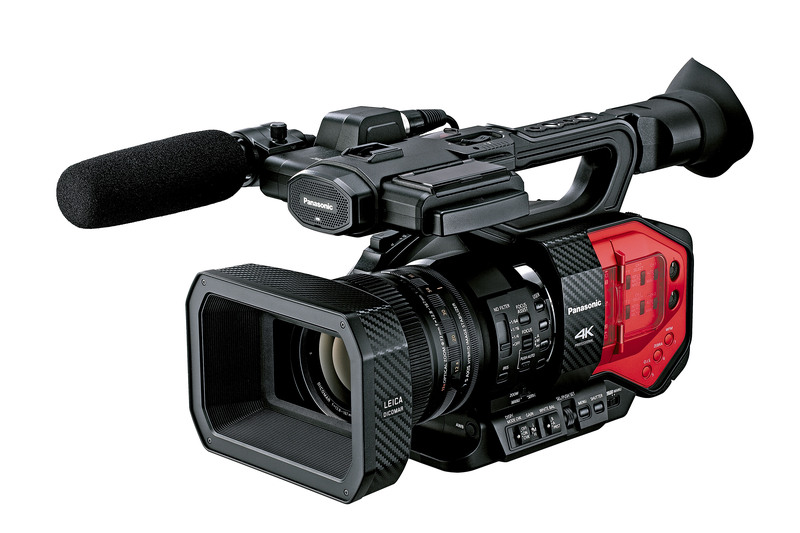 When [SYSTEM MODE] = 50.00 Hz • 50i/50p mode: 1/2 sec., 1/3 sec., 1/6 sec., 1/12 sec., 1/25 sec. • 25p mode: 1/2 sec., 1/3 sec., 1/6 sec., 1/12 sec. SDHC memory card (4 GB to 32 GB), SDXC memory card (48 GB to 128 GB), UHS-I supported *An SD memory card with a capacity of UHS Speed Class 3 (U3) is required to shoot videos with a bit rate of 100 Mbps or higher. An SDXC memory card with a capacity of 64 GB or more and UHS Speed Class 3 (U3) is required to shoot UHD 2160/59.94p/ 50.00p videos with a bit rate of 150 Mbps or higher. When [SYSTEM MODE] = 59.94 Hz • 60i/60p mode: 1/60.0 sec. to 1/249.8 sec. • 30p mode: 1/30.0 sec. to 1/249.8 sec. • 24p mode: 1/24.0 sec. to 1/249.6 sec. 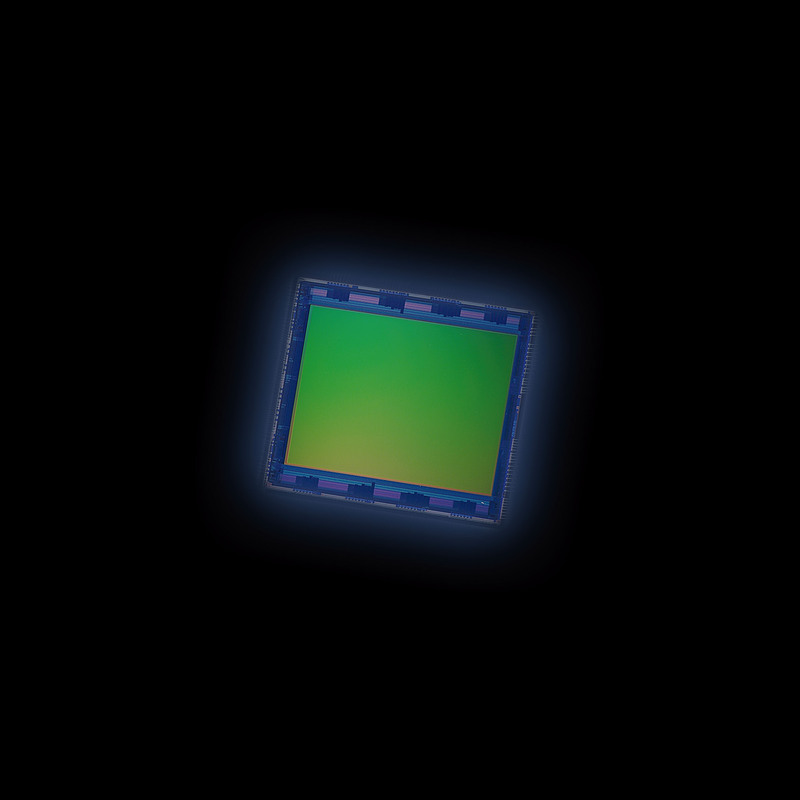 When [SYSTEM MODE] = 50.00 Hz • 50i/50p mode: 1/50.0 sec. to 1/250.0 sec. • 25p mode: 1/25.0 sec. to 1/250.0 sec. 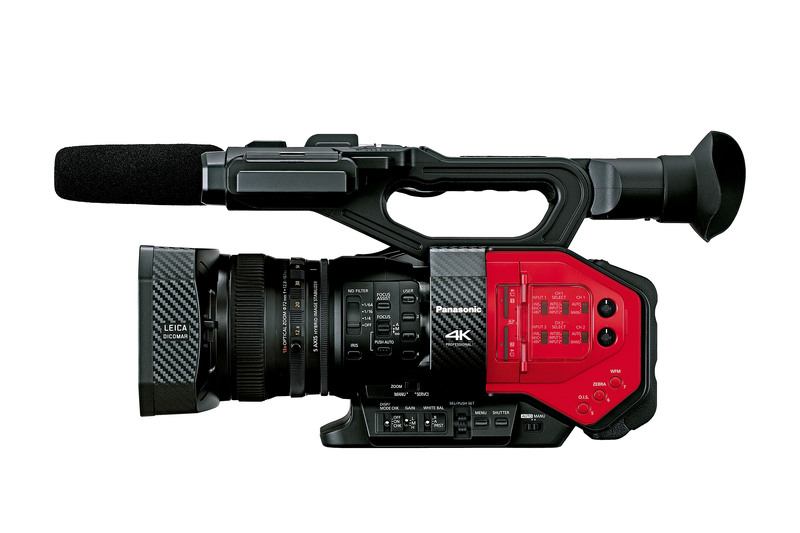 Recording Format: MOV, MP4, AVCHD Recording Mode: *Please see the Video record mode table. 8 bit 4:2:2/10 bit 4:2:2 (switchable menu) *Output of UHD/59.94p/50.00p becomes 8 bit 4:2:0. 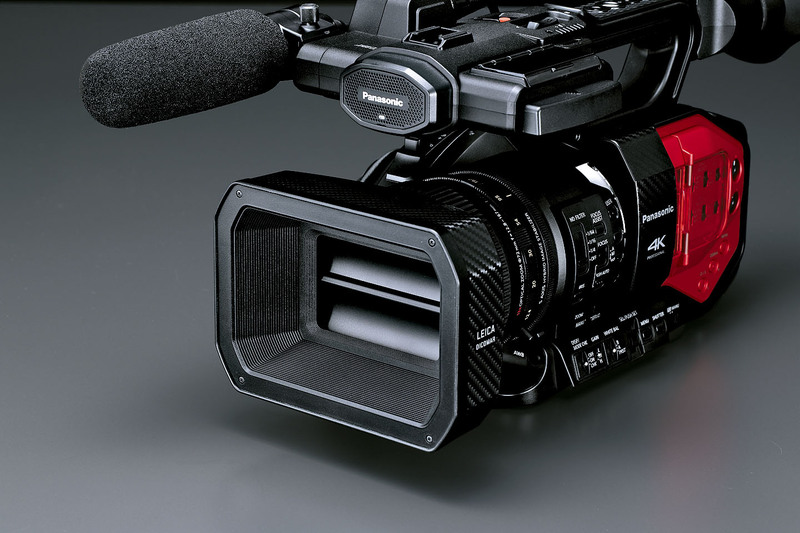 When 10 bit 4:2:2 is selected, recording is not possible with the main unit. Weight and dimensions are approximate. Specifications are subject to change without notice. *A part of functions are scheduled to be released soon. 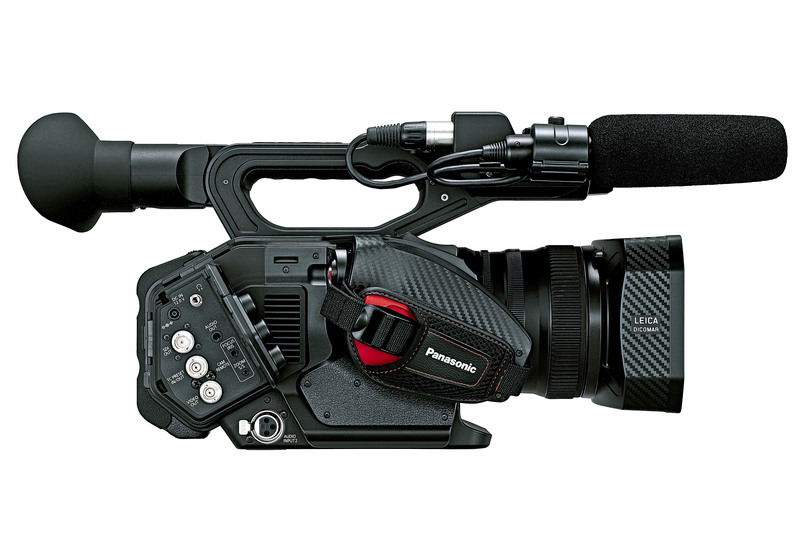 For details, please visit Panasonic website. 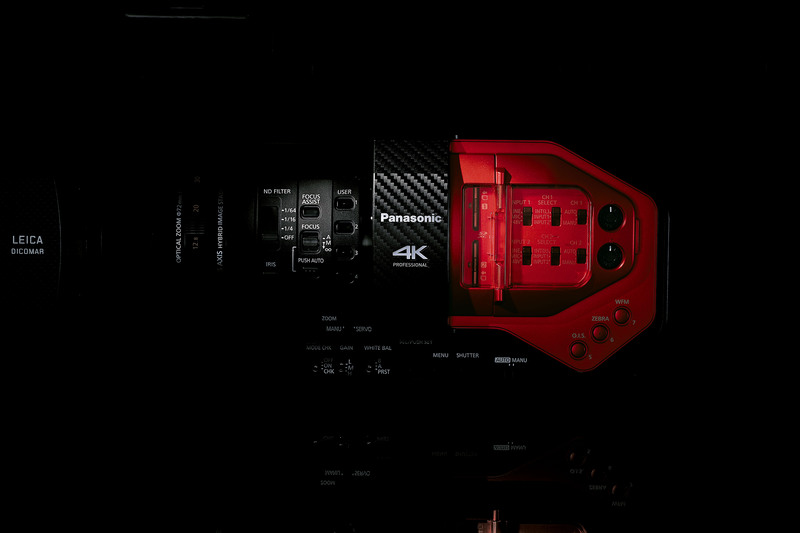 (http://pro-av.panasonic.net/). *Not available in some areas.